Amaranthine`s Colour Bloom Bouquet is a striking bouquet of mixed seasonal blooms in bright colours. 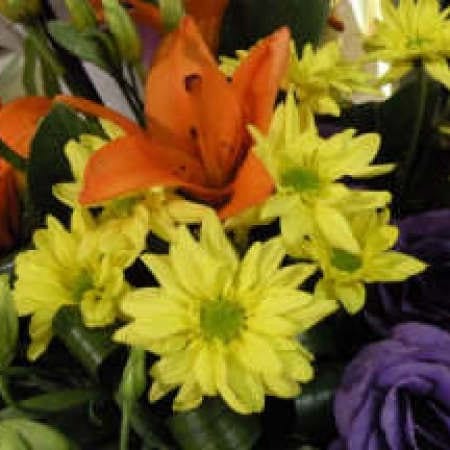 Asiatic lilies, bright chrysanthemums, lush green foliage, a vibrant bouquet to say thank you, thinking of you or Happy birthday! Created by Amaranthine Flowers By Design New Lambton, Newcastle and delivered. A beautiful way to say it all.